Japanese streetwear label YSTRDY’s TMRRW works in collaboration with Italian snowboarding label Northwave in reviving the signature Cream sneakers that originally debuted back in the 90s. 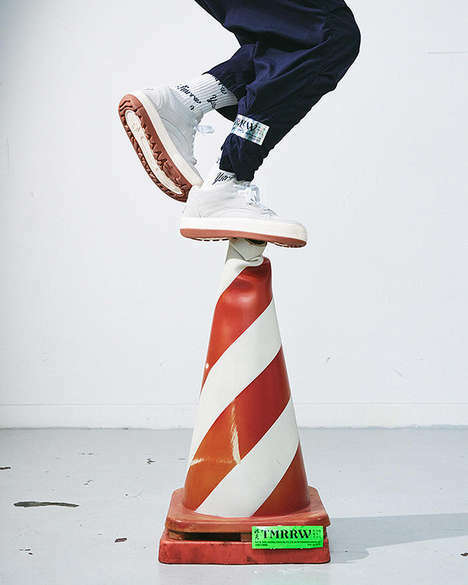 The re-launched footwear was originally created after an “after snow shoe.” It boasts a chunky structure and it was quickly adopted by the Ura-Harajuku movement and the 90s sneaker culture. The Cream sneakers are arriving just in time for the current weather conditions, combating the climate that they were originally designed for. The outsoles are constructed from contrasting rubber for traction sensibilities and the uppers are made from suede material and it is finished with tonal stitching details. The footwear option is set to drop online at COVERCHORD beginning on November 10th.